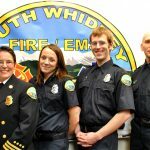 South Whidbey Fire and Rescue welcomes volunteers to join our team of dedicated firefighters. We currently have over 90 volunteer firefighters and are actively recruiting throughout the year. 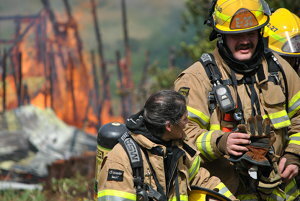 Firefighting is physically challenging, but also extremely rewarding. 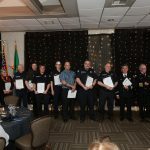 South Whidbey Island is fortunate to have such a great pool of ideal community members from which to draw volunteers. 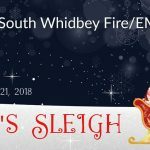 Our volunteers have expressed how lucky they feel to have this opportunity, as many communities do not train and recruit volunteers any longer. We encourage you to begin the application process today. Our volunteers are people just like you. Everyone brings something special to the team. Both men and women volunteer, representing a wide range of ages and backgrounds, from 18-year-olds to retirees. You should be reasonably fit or willing to get into shape so you can pass our physical agility test. 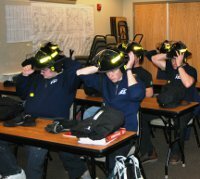 Some of the situations you will experience as a firefighter are difficult and can be both physically and mentally taxing, so a certain level of maturity is required. However, these experiences are also extremely rewarding, so new members can expect to learn more about themselves and feel more committed to their community than ever before. Our training will ensure you are physically and mentally fit before you are put into any real emergency situation. 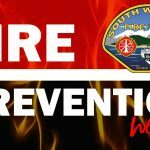 You’ll be familiar with all of the hazards, equipment and tools needed to fight fire. You’ll know your team members and their roles and be ready to manage many different scenarios. Don’t worry if you feel unsure of yourself. 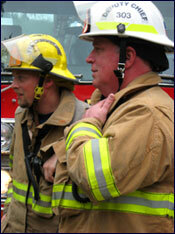 We have over 20 certified fire service instructors providing plenty of support to help you become qualified. There is quite a bit of training you will need prior to your first call. 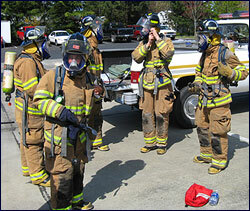 You’ll go through our State accredited Firefighter 1 training academy that takes just about four months. This is where we’ll provide you the training to become not only qualified, but a certified Firefighter 1. Upon successful completion of the academy, you’ll then be issued your own equipment (called bunker gear), and start going out on calls. Click to download the Volunteer Application. Completed applications can be dropped off in person by the applicant at 5535 Cameron Rd, Freeland, WA 98249 during normal department hours so the administration may review the package and give any final instructions. In the alternative it can be mailed but this will cause a delay in processing the application. Faxed or E-mailed applications will not be accepted. If you have specific questions please call us directly at (360) 321-1533. How much ongoing training is required? You’ll attend monthly drills and department events throughout the year. Training is offered every Tuesday night at your local station from 7:00 p.m. and lasts about two and a half hours for firefighters. 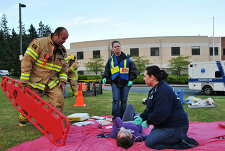 Medical responders can train the third Thursday or the second Tuesday (medical makeup night) during the same hours each month as well. There are other incredible opportunities for outside training once you become a seasoned member. In the past, our members have attended training conferences or events in nearly every state. 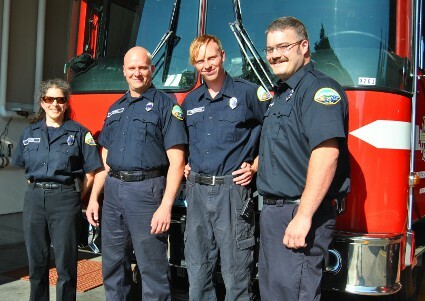 For example, the National Fire Academy has an extensive Volunteer Incentive Program that provides many one or two week-long training opportunities that are completely FREE (including lodging and airfare to Emmetsburg, MD) to those who are accepted. 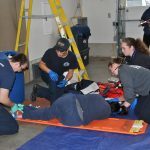 EMT classes are only offered once a year and always begin in January. If you’re interested, sign-up early! Oh, and if you are a firefighter already, we typically give priority to firefighters wanting to become a medical responder too. I want to do this, but what if I just can’t commit yet? We invite you to observe a few of your local station drills. Our first Tuesday drills of each month at 7:00 p.m. are always a great time to stop in and say hello. Another option is to participate as a volunteer patient in one of our many exercises throughout the year. These will give you an opportunity to begin learning even before you are officially enrolled in the training program. It’s best to get your application in quickly so we can jump start your entry. The application process is rather lengthy, as we must perform an in-depth background check, line up your basic medical exam, begin some of the entry agility training and prepare you for a written exam.